A belated Happy Easter and a warm welcome to all new comers of the Web Wednesday community, which now numbers over 500 Asian digerati working in the internet and digital media space in Hong Kong. I’d like to thank Kenneth Kong, Head of Digital Media for IMG, for being our intrepid guest at the last event and for sharing his experiences selling sports content over the internet and mobile channels. Kenneth was also kind enough to provide prizes for the on-site SMS contest from his own collection of sporting memorabilia. If you missed the event, you can listen to the full interview on our audio channel, Palava Podcasts and check out the photos on our Web Wednesday Group on Flickr. 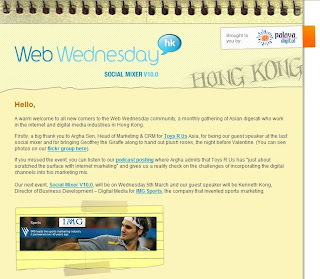 Our next event, Social Mixer V11.0, will be on Wednesday 9th April and our guest speaker will be Ivy Wong, Chief Operations Officer for TVB.com. Given the boom in online and mobile video content, we will be discussing how TVB plans to engage consumers via digital media channels, especially UGC and social media; how it is going to make money; and what are the challenges ahead. Please note that the networking will kick off at 6pm and the interview will start at 7pm at Lotus Restaurant & Cocktail Lounge, 37-43 Pottinger Street, Central, Hong Kong. To enjoy your complimentary cocktail, simply download the Lotus wallpaper from our mobile website (m.webwednesday.hk) and show it to the door staff. Lotus will also be offering finger food and happy hour drinks, HK$40 for standard booze and HK$25 for soft drinks. 1st prize - 1 Million banner impressions on tvb.com, worth HK$40,000! 2nd prize - 4 tickets to HK’s hottest game show, "Super Trio Supreme" ! 3rd prize - One bottle of Absolute Vodka, from Ivy’s private collection! To enter the quiz, send "ww quiz" via SMS to "508507" and answer the quiz question (a tough one, this time). We will call the lucky winners on the night so no prizes if you don’t turn up. (Note: Each SMS costs HK$1). If you wish to join our bustling community, either send me an email or sign up for the Web Wednesday Group on Facebook. Feel free to “share the love” and invite others along. The event is free and open to all curious minds! Looking forward to catching up with old faces and meeting many new ones! Ever wondered which strategy would work better in China, buying keywords on search engines or posting via the blogs and forums (known as "BBS" in China)? Here's your last chance to learn from the masters - Lonnie Hodge, hardened SEO practitioner and CEO of CultureFish Media; Grace Zhou, manager of Baidu's new International office; and Sam Flemming, CEO of the first and leading IWOM research and consulting firm in China, CIC. Click here to register for the Baidu Basics webinar (as mentioned in our earlier post). If you're really late, try registering directly via the Webex webinar page. The 45-minute discussion plus question-and-answer session is in English and will cover. The presentation and Q and A session will be conducted in English. "Admission" is free. Internet Word of Mouth, Research Methodologies, Organic and Paid Search, Chinese Consumer Search Behaviors, Geographically Targeted Language, PR Releases, Cultural SEM and more. 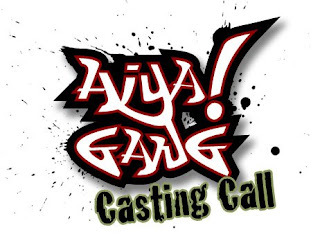 Aiya Media, Asia's answer to Jackass TV, is going into production on “Aiya! Gang”, a new take on their highly popular hit TV show “MTV Whatever Things”. The video can show you being crazy, funny, doing a cool stunt or pulling a prank. DO NOT intentionally create videos for this audition that may put you in harms way. DO NOT intentionally create videos for this audition that may break the law in your home country. 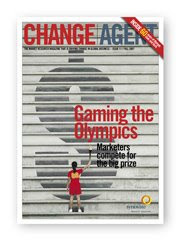 Tonight Synovate will give away free copies of "Gaming the Olympics", the latest edition of its research magazine, Change Agent to select members of the Web Wednesday community. If you feel worthy, look out for Pia Wong, their Marketing & Communications Manager at the event. Some relevant extracts for tonight's sports topic. "Spending on sports marketing in Asia is expected to grow 20% from US$15 billion in 2007 to US$18 billion in 2008." We wonder how much of that will be online. "The National Basketball Association" estimates that 300 million people in China play basketball. "Did Yao Ming single handedly convert these people from football? Web Wednesday is not only about networking and learning from an interesting guest speaker, it’s also about trying out the various digital marketing channels, like mobile marketing. For this month’s SMS contest, IMG is giving away special, collectible prizes. 1st Prize: Manchester United Jersey (2005), signed by several team members. 2nd Prize: Signed Liverpool player photo, Steven Gerrard. To enter the contest, send “ww quiz” to “508507”. (Each SMS costs HK$1. Only available through Hong Kong mobile subscribers). If you're a mobile migrantconvert and are happy to receive the occasional update about Web Wednesday on your phone, then opt-in to our mobile community by sending “ww join” to “508507” now. And as usual you can get a COMPLIMENTARY COCKTAIL at the door, kindly sponsored by our generous hosts at Lotus Restaurant and Cocktail Lounge. Simply visit “m.webwednesday.hk” on your mobile phone’s browser to download the wallpaper, save it on your phone and present it at the door when you arrive at Lotus for our next event on 5th March. Now that we have reached critical mass with an active community of 470 Asian digerati and are attracting over 100 people to our regular monthly gatherings, the newly arrived editor of Digital Media, David Tiltman, has kindly agreed to promote Web Wednesday to his enewsletter subscribers of 16,000 marketeers and 4,000 digital media executives across Asia. The latest copy is available here. On top of this, the publisher Haymarket, is offering our members 4 free issues of Media magazine if you subscribe to Digital Media. To redeem, mention "Web Wednesday" to Jessie Ho-Avery, Group Circulation & Subscription Manager for Haymarket Asia, by email or call (852) 2122 5233. The banner that appears in the enewsletter was created by Beansbox. Where would we be without you? Thanks again, Belle and team.